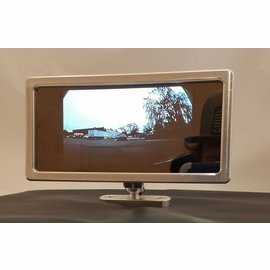 A backup camera screen is placed in a custom billet center mirror that will look great in any ride! A Watsons StreetWorks exclusive! 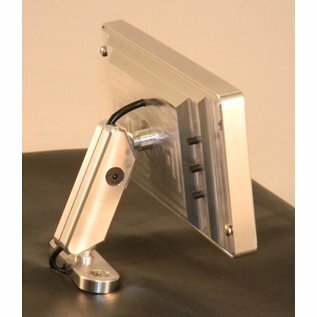 They've placed a 4.3 inch screen in a custom billet center mirror that will look great in any ride. Wiring the system is amazingly easy, just supply power and ground to the camera and screen, then one wire joins the two. 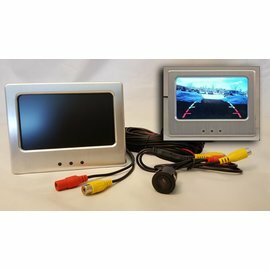 When you put your vehicle in reverse the solid state screen comes on instantly. The smoked glass on the mirror looks great when the screen is off and cuts the nighttime glare from lights behind you. 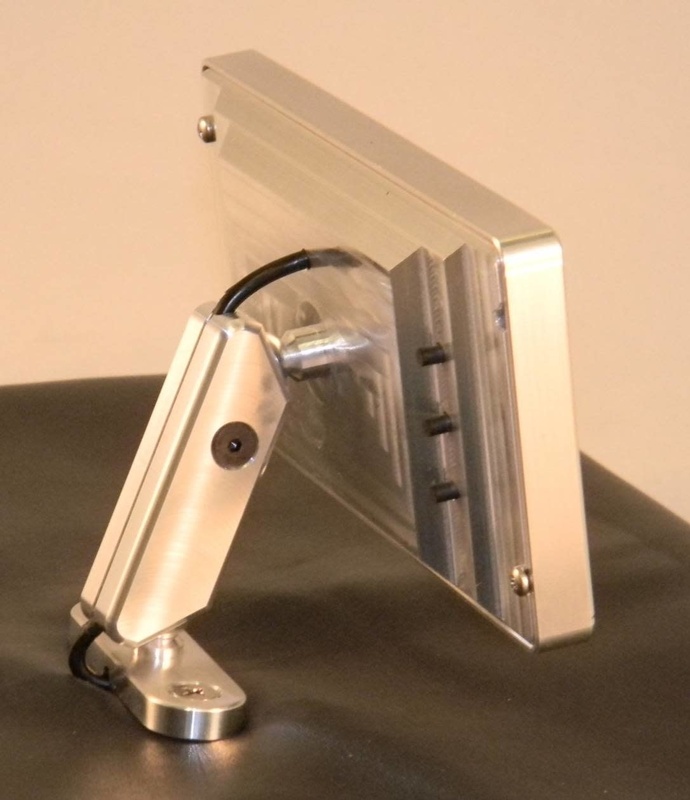 Mount the mirror on your dash or overhead. The arm pivots at both ends giving you plenty of adjustment. 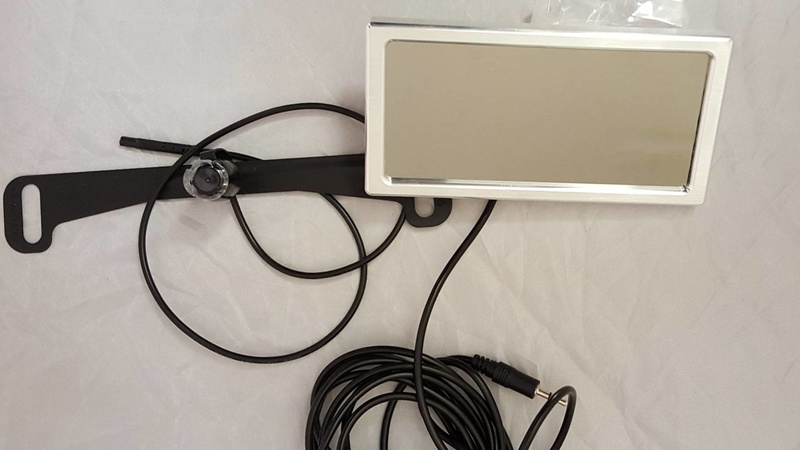 The mirror measures 3″ by 6″ overall and the base is 2-½” by ¾”. The arm is 2-½” long. The screen has several adjustments including contrast, brightness, etc. 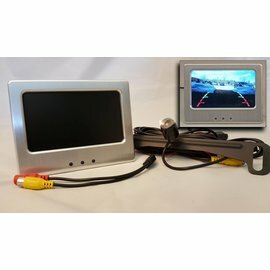 Choose from either a license plate mounted camera or a body mounted unit. 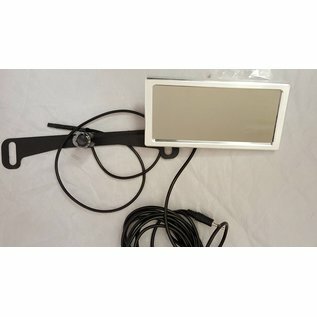 This kit includes the billet framed mirror/screen with mounting hardware, a waterproof camera, wire and instructions. 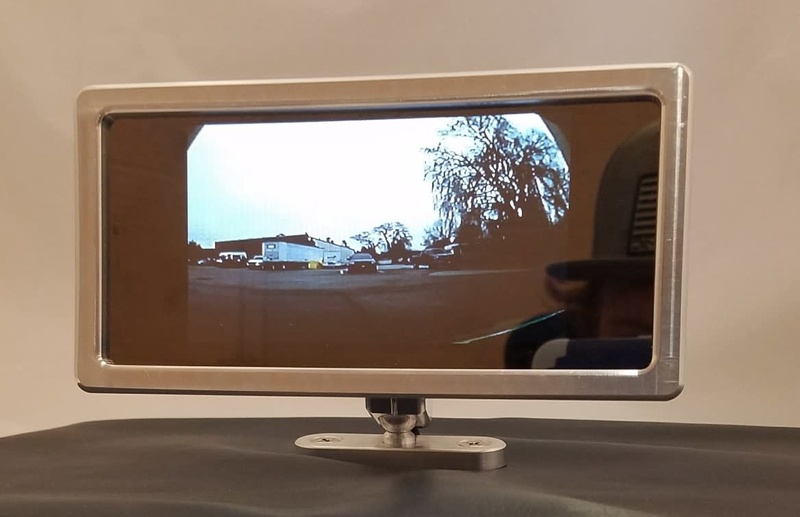 The license plate camera mounts behind your plate with just the tiny camera sticking over. Run the wire through a small, 7/32″ hole.